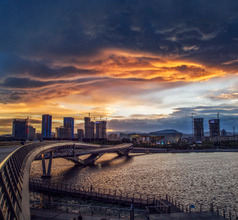 Taiyuan, the capital city of Shanxi Province, China is a metropolis that expertly juggles lush greenery, ancient culture, and modern urbanization. The city is located amidst tall and picturesque mountains with the Fen River passing by. The topography around the city has blessed it with some of the most interesting and beautiful sceneries. 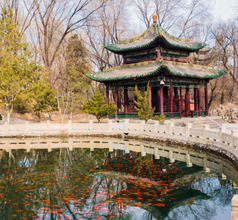 The city has ancient Taoist grottoes, museums, Buddhist temples, parks, and stunning natural landscapes that attract domestic and overseas tourists throughout the year. On the urban scheme of things, the city has always been a politically powerful region. 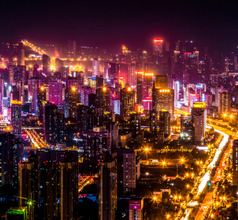 Taiyuan City has been the largest provider of iron and steel in China so it has been a major financial, industrial, and trading zone. 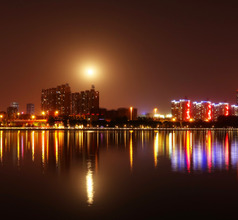 In fact, Taiyuan City belongs to the group of the 22 super cities of China. Due to its prosperity, the city has some of the best hotels, well-planned infrastructure, and all the necessary facilities to ensure that visitors have a memorable time in the city. 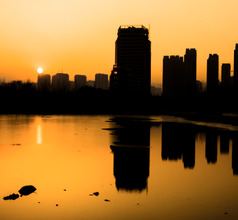 Taiyuan City has a glorious history that goes back 2,500 years. 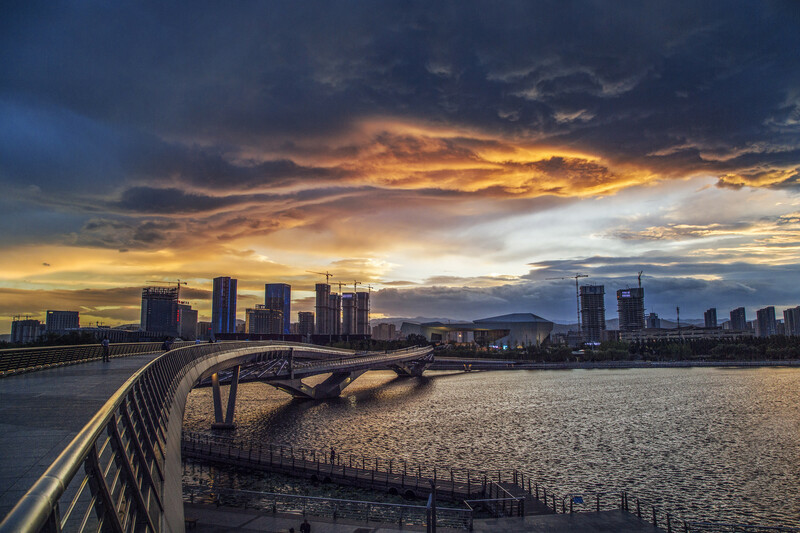 In ancient times, the city was called Jinyang. During the Warring States period Jinyang was the capital of the Zhao State. 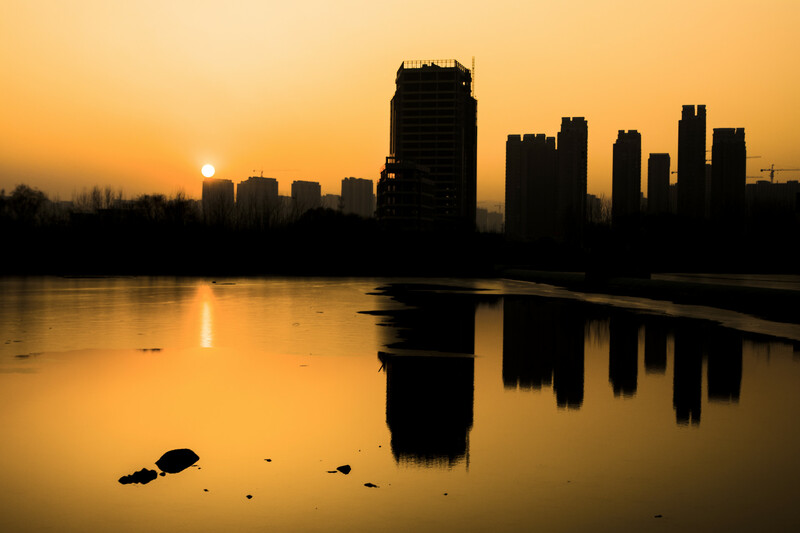 It lost its significance during the Qin Dynasty, but later, during the Tang Dynasty, it reached its peak as one of the most advanced, cultured, prosperous, and happy cities. It became a strategic military base in Northern China and a fortress against invaders from the north. 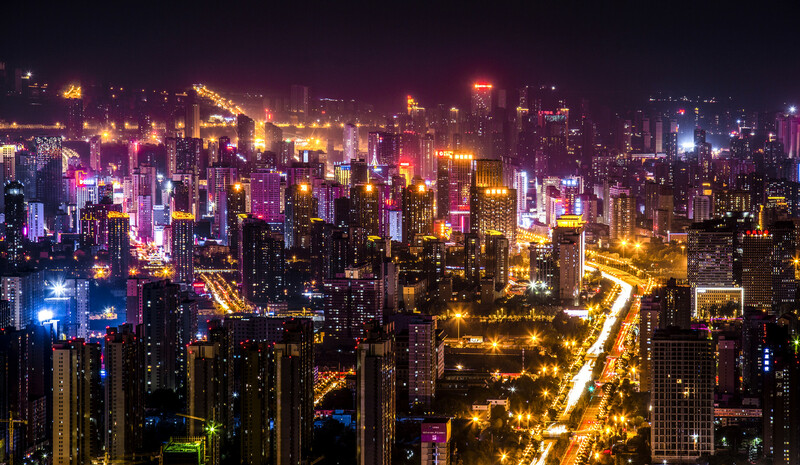 Today’s Taiyuan City is a bustling business area with many large manufacturing units based here. In contradiction, the city is well-known for its initiatives toward environmental issues and improving the quality of life of the residents. It has won the National Garden City award in 2010 due to its efforts. Prosperity and wealth have encouraged the inhabitants of the city to preserve and appreciate their ancient culture. The people are educated and polite and are fond of the operas. Some of the best classical performances can be seen at the Shanxi Jin Opera Troupe Theater, Changfeng Theater, Hubin Conference Hall, or the Taiyuan Liyuan Culture Center. The Culture Center also has folk performances and a disco. If one is looking for souvenirs, the Liuxiang Shopping District is full of shops selling exquisite paper cuttings, showpieces and jewelry made with jade, dough sculptures, and lacquer items. 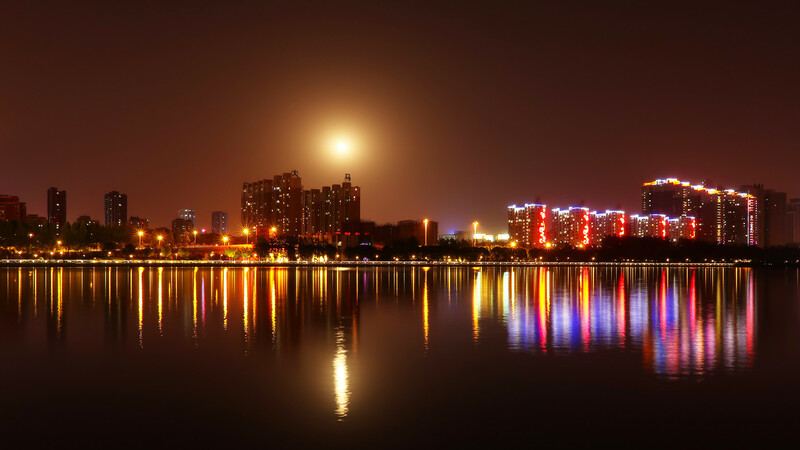 The city of Taiyuan has excellent accommodation in the form of 2, 3, 4, 5, grade-one, service-apartments, inns, homestays, guesthouses, etc. The luxury hotels have spacious rooms, aesthetic décor, and many amenities so that visitors have a memorable stay in Taiyuan City. For those traveling on a limited budget, there are many low-priced hotels, service-apartments, inns, and youth hostels as well. 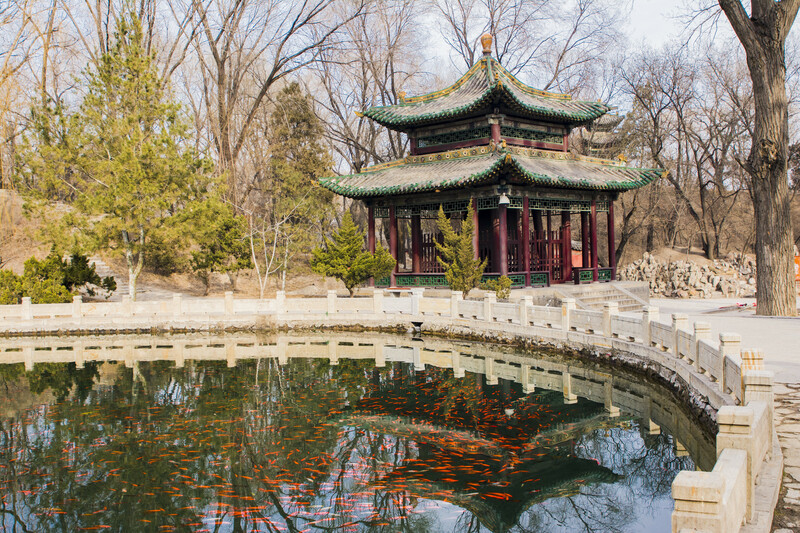 One of the most unusual and aesthetically designed must-sees near Taiyuan City is the Jinci Temple. This temple complex has several buildings, some of which are more than 1,400 years old. Each subsequent dynasty has contributed to the construction of the temple complex and their typical architectural styles are evident. The Sui, Song, Yuan, Tang, Ming, and Qing Dynasties have all helped to make this a magnificent example of Chinese architecture. 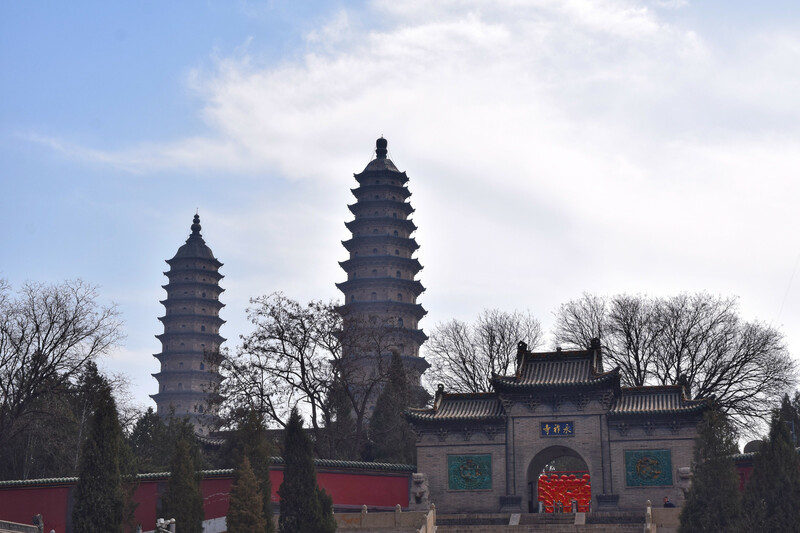 The 400-year-old Temple of the Twin Pagodas is another great attraction near Taiyuan City. The temple complex consists of two identical 13-storied pagodas which are 53 meters tall. They have spiral staircases that lead to the top stories from where one can get a fantastic panoramic view of the city and its picturesque surroundings. The statue of Guanyin, the Goddess of Mercy (a female incarnation of the Buddha) in the Chongshan Temple complex is a wonderful sight. The statue has 1,000 arms and eyes and looks magnificent. The temple also has other exquisite statues and murals. 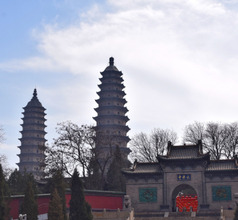 Other Buddhist relics near Taiyuan City are the Duofu Temple and Longquan Temple. The region surrounding Taiyuan City is a bonanza of ancient Taoist relics which are must-sees too. The Tianlongshan Grottoes are the largest ones with 25 multi-storied interconnected caves. They contain many large Buddhist statues and an artistically carved wooden pavilion. Some of the statues were crafted more than 1,500 years ago. The Longshan Grottoes are also a splendid Taoist site with large interconnected caves and countless Buddhist relics. Initially built during the Song Dynasty and expanded during the Ming and Qing Dynasties, the Chunyang Palace (Luzu Temple) is another Taoist relic. The temple consists of several exhibition halls with priceless ancient relics like sculptures made with wood, stone, and jade, as also porcelain, pottery, bronze ware, calligraphy, paintings, inscriptions, lacquerware, and embroidery. Taiyuan Wusu International Airport is built 15 kms from urban center of Taiyuan, Shanxi. Providing links to almost all major local cities, it has 8 international connections as well. The trip between airport and downtown is facilitated by public bus 201 which takes 45 minutes (RMB2) and taxis that charge RMB15-50 for a 30 minutes ride. Airport Shuttle Lines 1-4 go all over town for up to RMB30 and are timed according to flight schedules. Salt and spice are the predominant flavors of Taiyuan City cuisine rather than sweetness. They use several methods of cooking and wheat is their staple. They have a unique way of making food from wheat, for example, sliced noodles and hand-pulled noodles. Some of the local delicacies and must-tries are Tounao (a snack which has a 300-year-old history), Yuci sausage, steamed dumplings stuffed by mutton or beef, Yangcheng style hotpot, etc. The Taoyuan Erxiang Night Market and Liuxiang Food Street have the best food courts in the city.